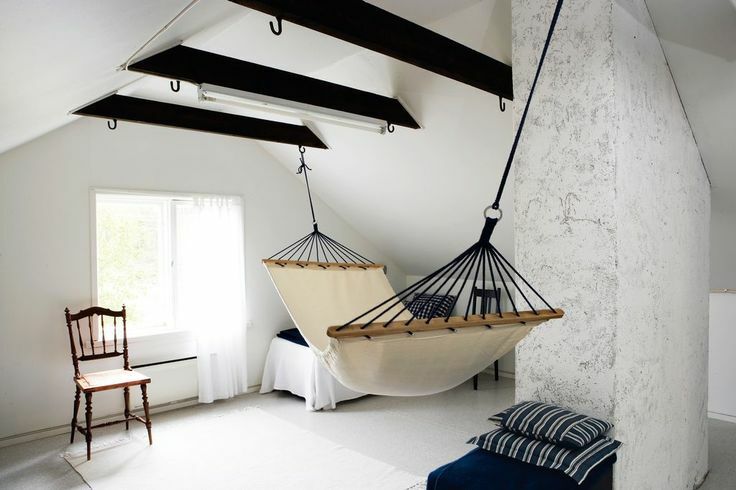 Hammocks are typically used outside, but that doesn’t mean you can’t break the rules a bit and bring them inside by adding one to your bedroom, living room, sunroom, or even your attic! 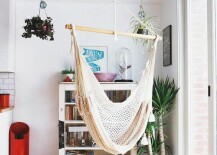 If you have the space for it and the tools to hang one securely, then why not? 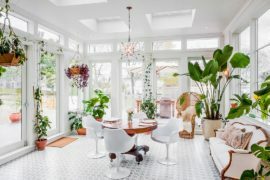 If you’re not yet convinced it’ll look good, maybe the following examples will change your mind about it. 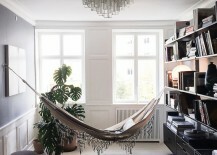 There’s no better place to put a hammock than beside a huge window, if you have one! 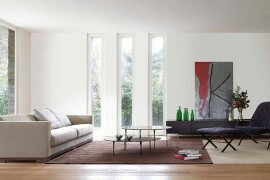 Check out this elegant example from Remodelista in a bright room that has a library feel to it. 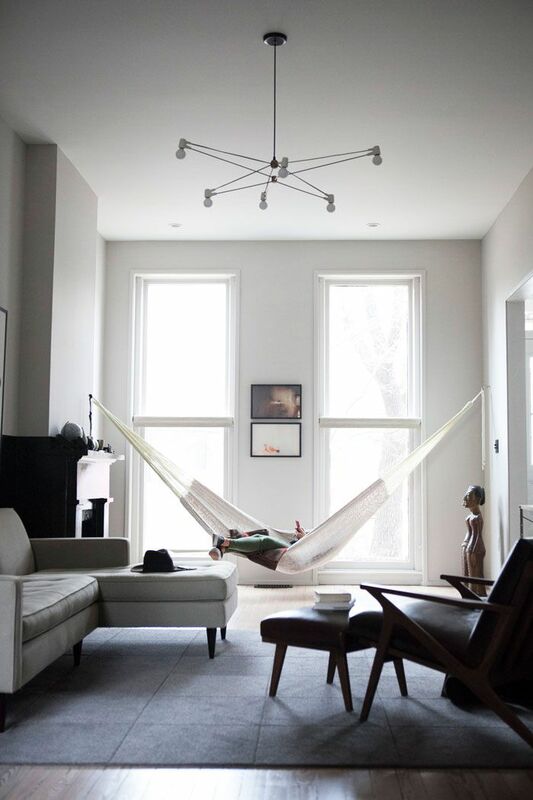 Another from Design Sponge features a hammock by two large windows in a modern living room. 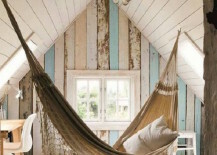 You may not know it by looking at it, but this is actually a house boat! 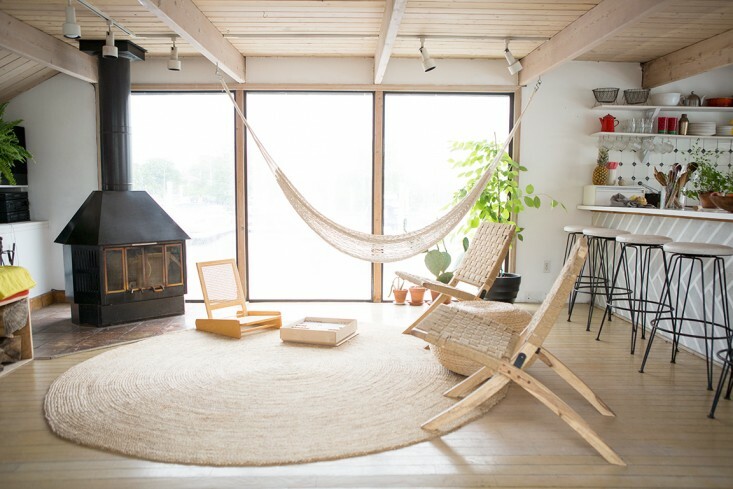 Featured on Remodelista, a hammock hangs right beside the large sliding window doors. 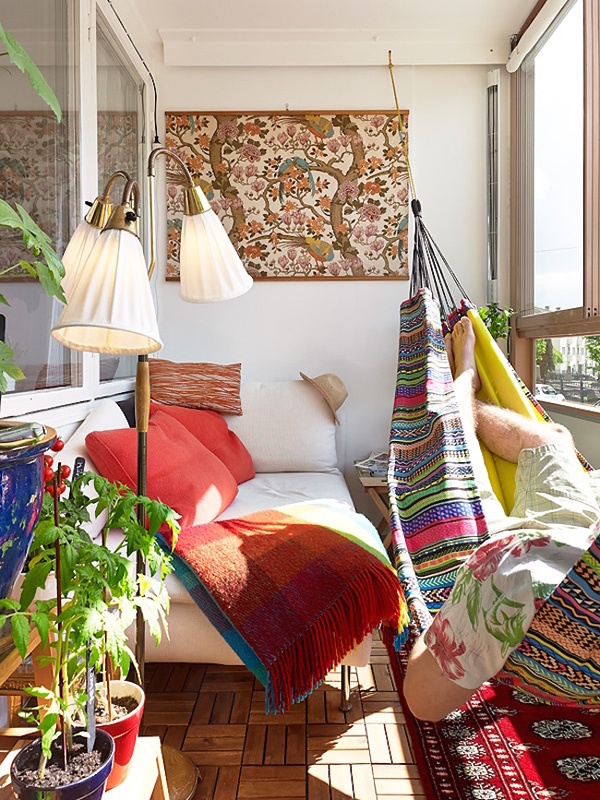 It could be a little cramped, but if you have a small sunroom or enclosed porch, then it could be the perfect place for a hammock. 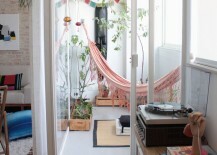 Here’s one from Historias De Casa that’s just the right fit. 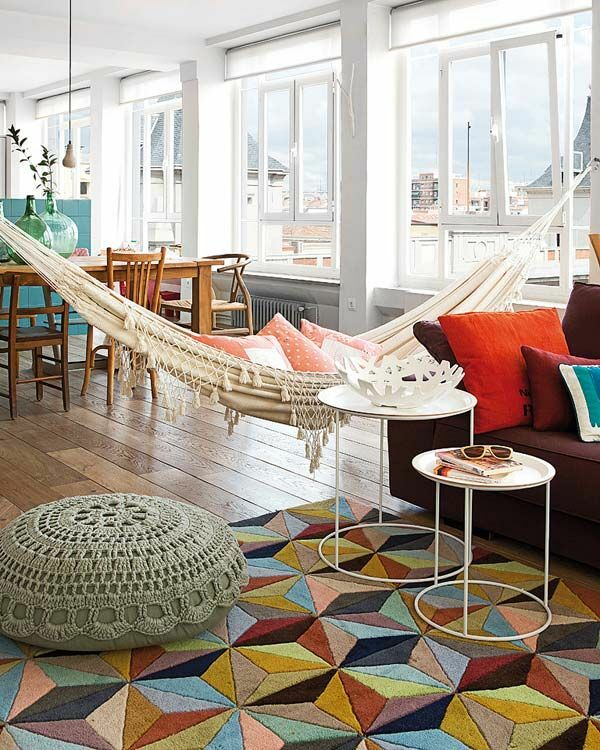 Another international site, Stadshem, has a hammock that brings some Bohemian color to a bright sunroom. 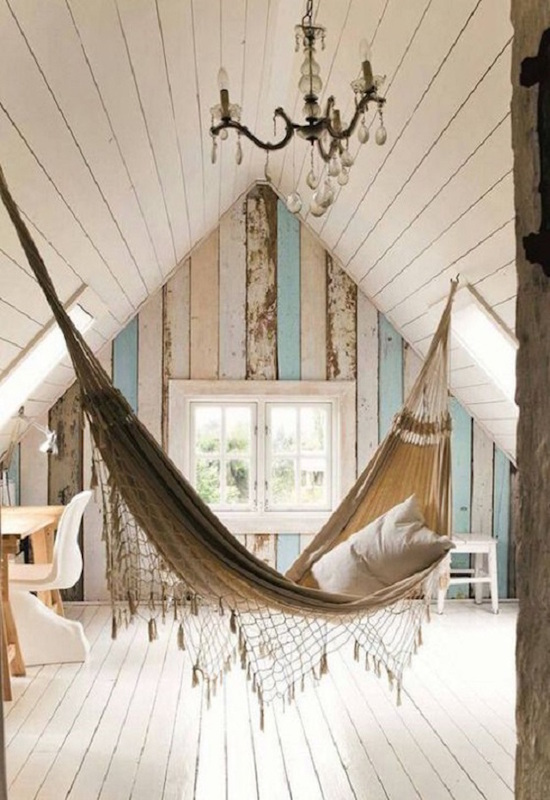 If you’re lucky enough to have an attic that you can hang out in, then make sure you consider working a hammock into your decor! 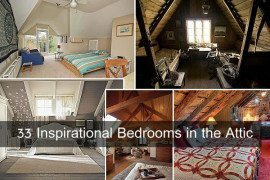 Check out these two very different but stunning examples from The Glamorous Housewife and Hegegreenall-Scholtz. 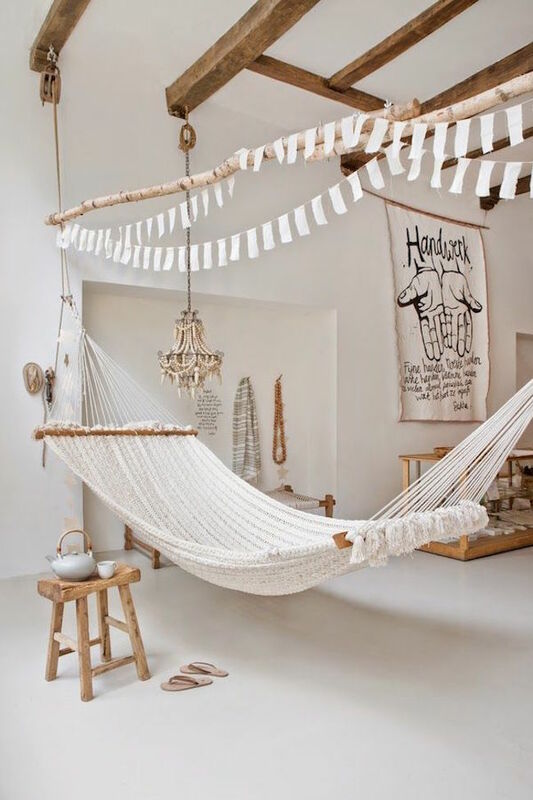 Hammocks come in all different colors and designs, but sometimes, you just can’t go wrong with keeping it white — or at least netural. 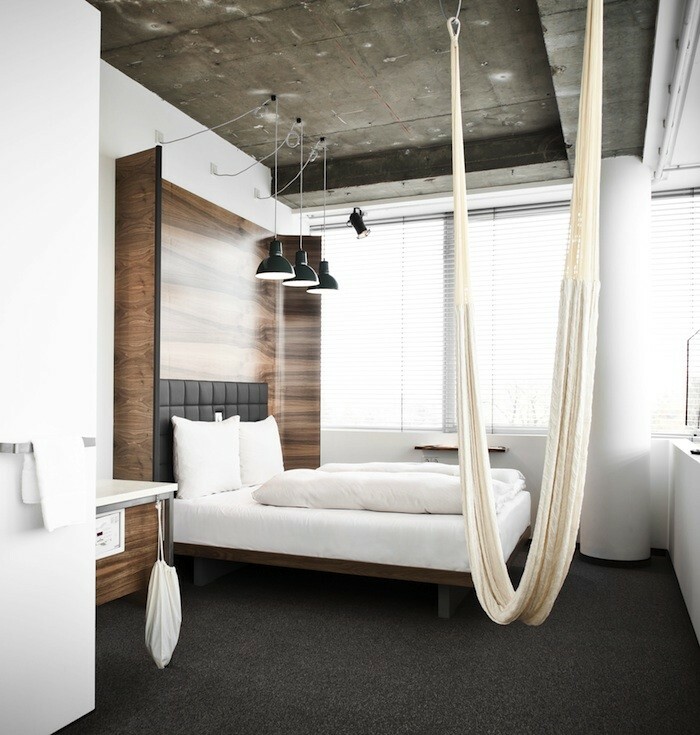 Here’s a simple cream-colored hammock added to a bedroom at the Hotel Daniel in Vienna, featured on Remodelista. If you love the Scandinavian look, you may want to take a look at this hammock from Home My Design. 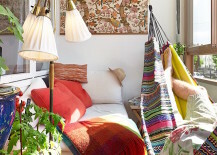 How about no color at all?! 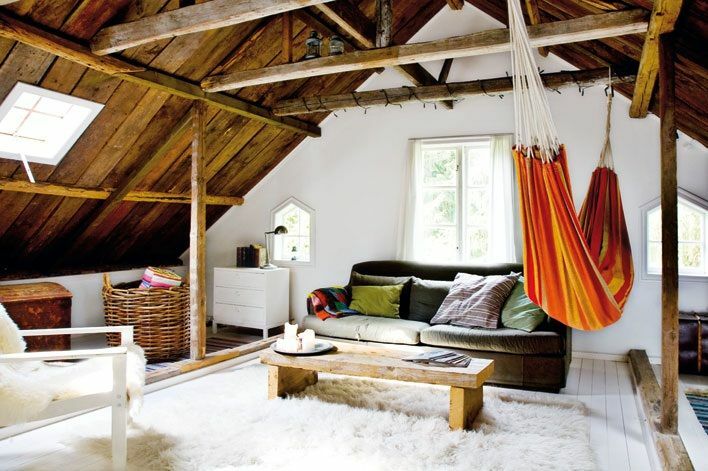 This white hammock featured on Travel Shopa still stands out amidst all those white walls and beautiful wooden beams and accents. 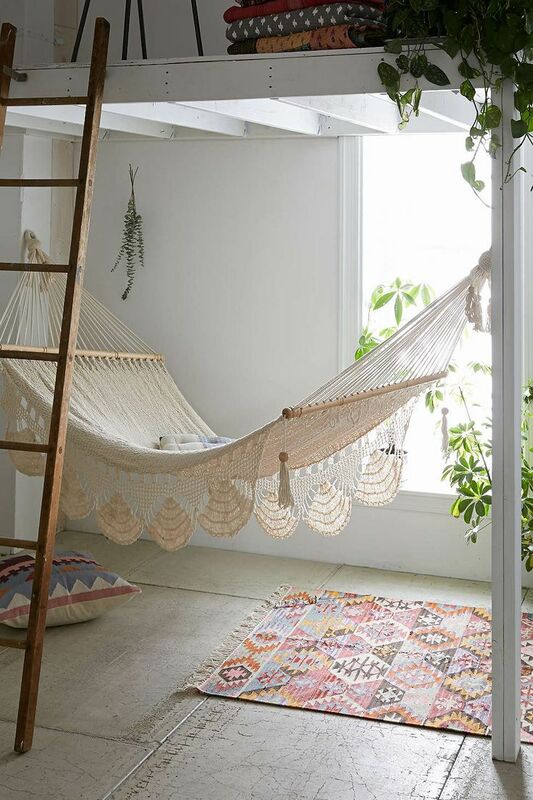 Although sold out for now, Urban Outfitters has a gorgeous macrame hammock that can bring a touch of elegance to almost any room. 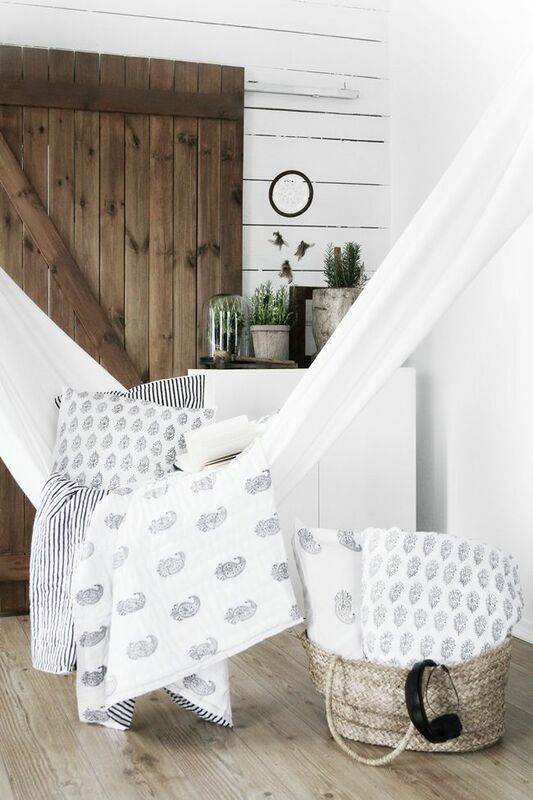 Not a Paper House shows you how to dress up your hammock with some linens, for a super comfy look. 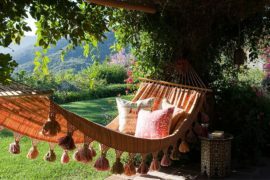 Believe it or not, a hammock can even work around the kitchen, or the dining area, or the living room. 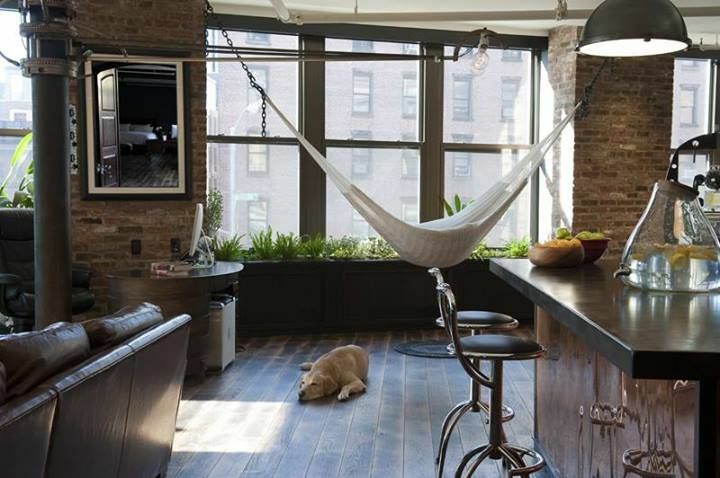 Here’s a kitchen featured on The Huffington Post that makes a spot right beside the kitchen and living room near a window for a gorgeous white hammock. 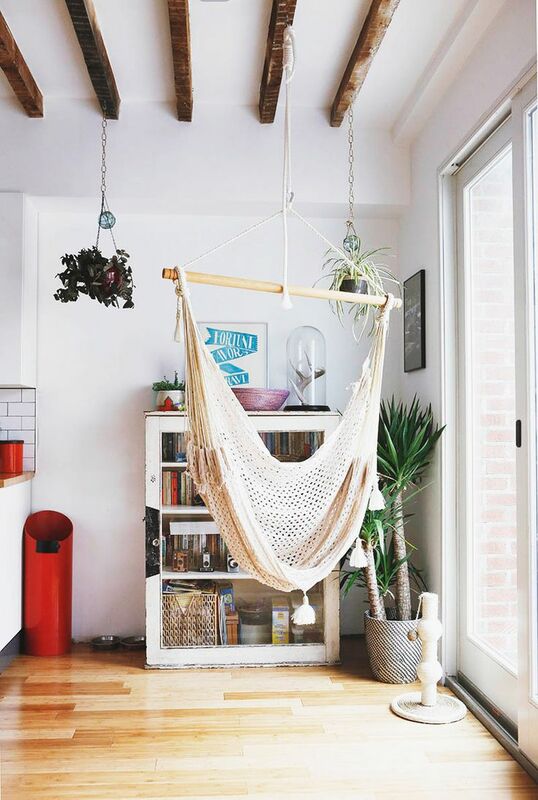 Sometimes it’s easy enough to create a bit of a separation from the kitchen with some different furniture pieces and accessories, like using this shelving unit beside a kitchen. 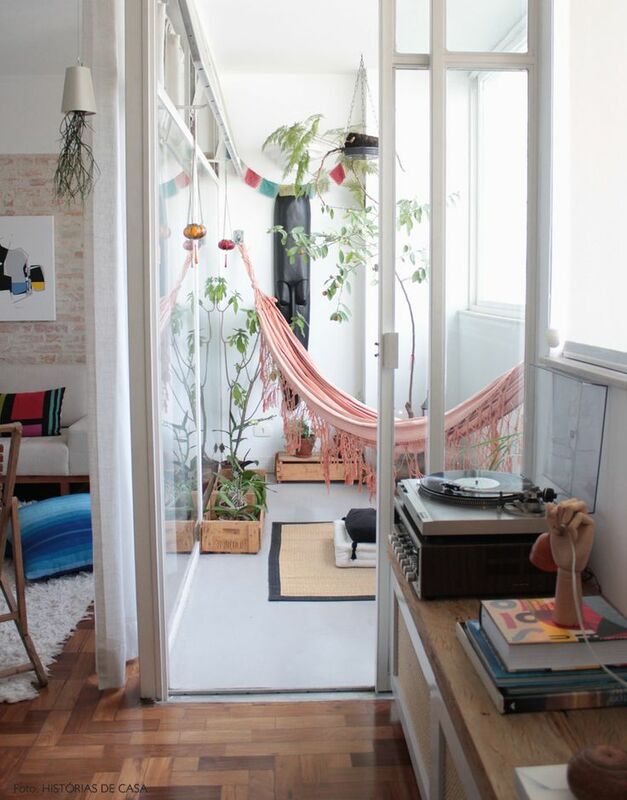 Again from Design Sponge, here’s something that makes a nice spot for a hammock. 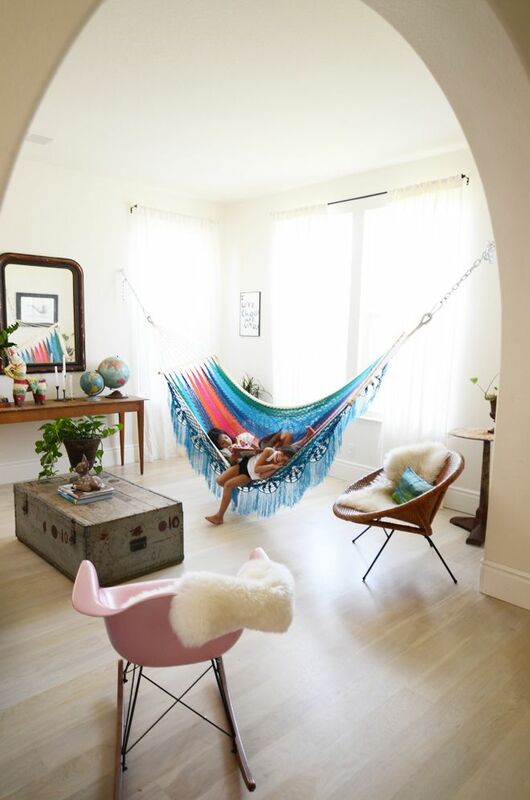 A hammock from Planet Deco demonstrates how to use a hammock as an additional lounging area in a living room, beside a couch and right near a big window. 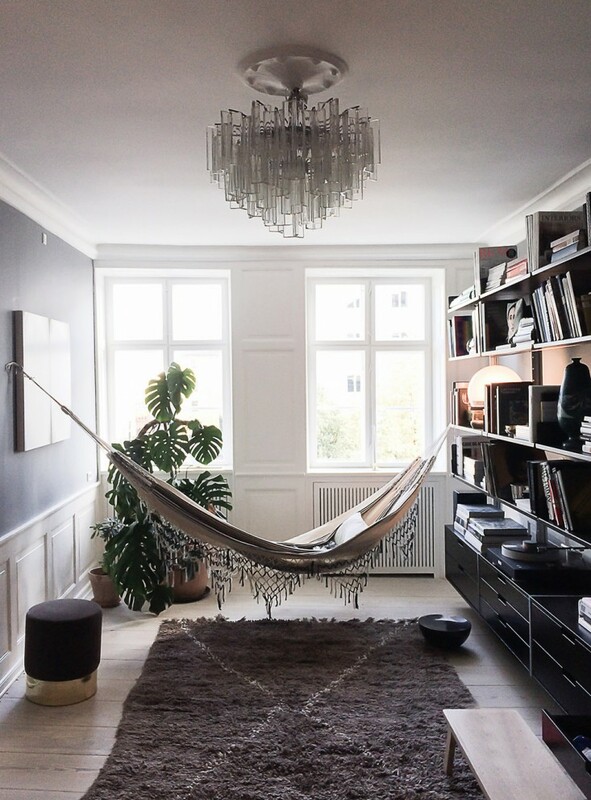 If you had to choose between a hammock and a couch, would you choose a hammock? Some people do! 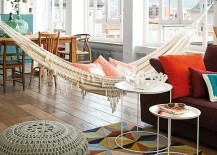 Check out this crazy colorful living room hammock that takes the place of a couch, featured on My Cakies. 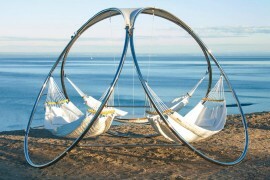 And hey, what if there’s nowhere you can secure your hammock from? 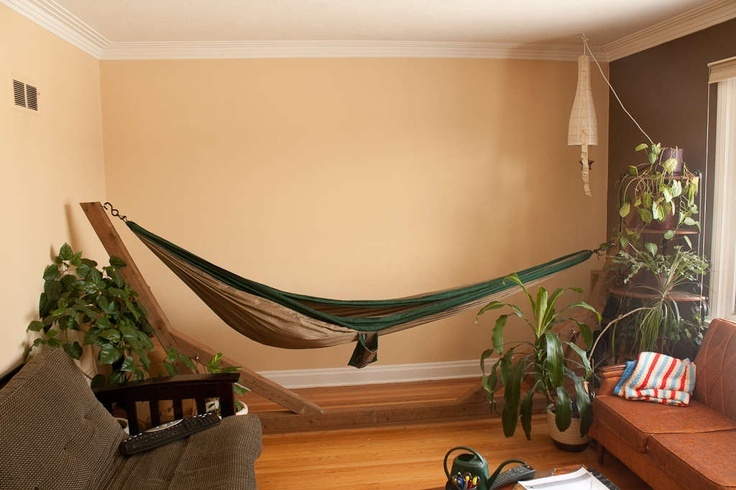 There’s a clever Instructables tutorial that shows you how to make your very own indoor hammock stand. 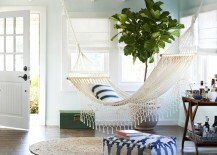 So what do you think about hammocks inside the home? 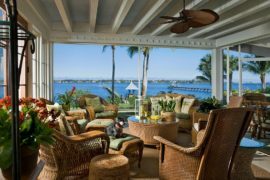 Would you consider it? 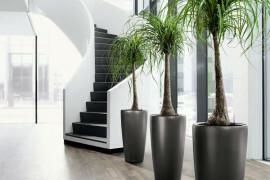 Let us know with a comment.